Actress Amanda Fuller attends the Disney & ABC Television Group's "2013 Summer TCA Tour" at The Beverly Hilton Hotel on August 4, 2013 in Beverly Hills, California. Amanda kept her look retro-chic from head-to-toe with a half-up pompadour. 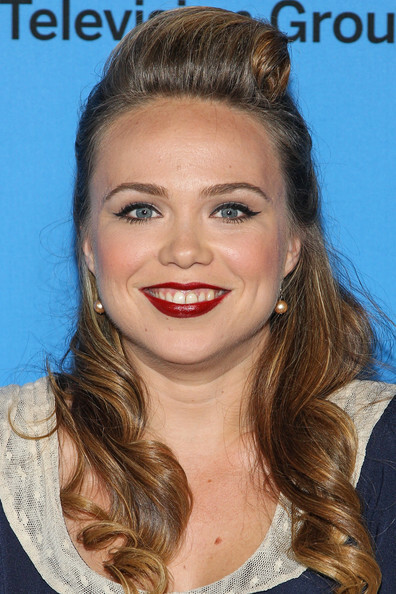 A rich ruby red lip stain topped off Amanda's retro look at the 2013 Summer TCA Tour.